The best art isn’t always behind closed doors hanging on a gallery wall in. Sometimes the art IS the wall, and the door and roof for that matter. San Diego’s architectural history is not to be missed and is easily enjoyed during numerous walking tours throughout San Diego’s lovely summer weather. See some of the finest examples of early 20th century Arts and Crafts style in the Banker’s Hill neighborhood, or head up to La Jolla to see the awesome collaboration of science and space at the 1960’s masterpiece, the Salk Institute. And when you want to take a rest inside, make sure to stop by the Museum of Art (a building of Spanish Revival beauty itself) to see the genius of 18th century Roman architect and printmaker, Giambattista Piranesi. Piranesi’s two-demensional renderings are brought to life at the San Diego Museum of Art. The San Diego Museum of Art (SDMart) pays homage to one of Rome’s foremost artistic personalities of the 18th century, Giambattista Piranesi. 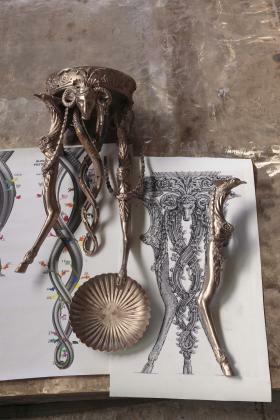 As a printmaker, architect, antiquarian, art dealer, theorist, and designer, Piranesi’s genius spanned creative forms, which lead the SDMart to pair more than 300 original prints with modern-day interpretations, including the three-dimensional creation of some of Piranesi’s two-dimensional renderings. Those unfamiliar with Piranesi might say the works lie somewhere between the minds of M. C. Escher and Tim Burton for the common ability to meticulously bend reality and fantasy into something simultaneously believable and fantastical. 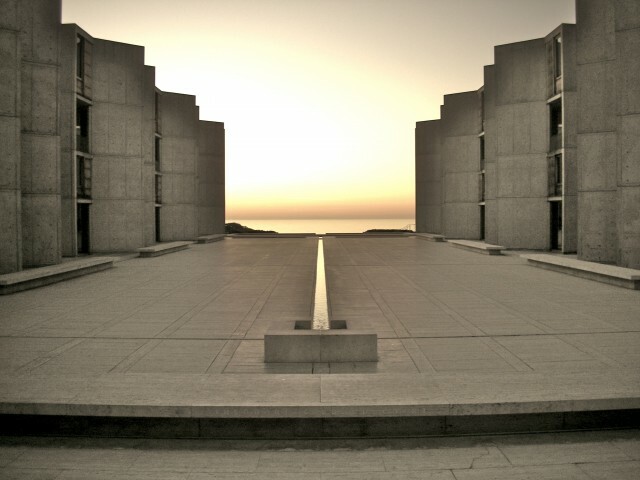 The beautiful marriage of science and architecture at the Salk Institute in La Jolla, San Diego. The Salk Institute was established din the 1960s by Jonas Salk, M. D., the developer of the polio vaccine. He enlisted world-renowned architect Louis I. Kahn to develop spacious, unobstructed laboratory spaces that could be adapted to the ever-changing needs of science, and Kahn’s influence can be seen in the imaginative use of space and his high regard for natural light. In 1992 the Salk received a 25-Year Award from the American Institute of Architects (AIA) and was featured in the AIA exhibit Structures of Our Time: 31 Buildings That Changed Modern Life. Vin de Syrah, 2010 Interior Design Orchid Winner, hosts the Urban Orchid Tour reception. Photo courtesy of Vin de Syrah. The San Diego Architectural Foundation offers geographically segmented, self-paced architectural walking tours around San Diego. First up for the summer is Urban Orchid Tour, on June 16-17, 2013, which will focus on – you guessed it – thoughtful and inspired designs in San Diego’s urban landscape. 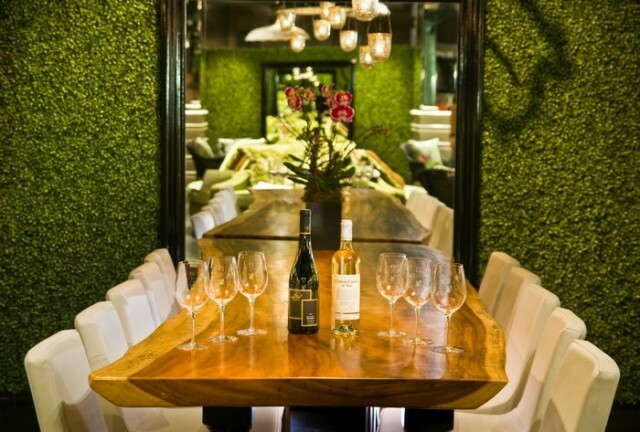 The tour also kicks off on June 14th with an evening reception at 2010 Interior Design Orchid Winner, Vin de Syrah, where you can mingle with other attendees while sipping on complimentary drink and hors d-oeuvres. Summer hours begin the weekend of June 16 for Save Our Heritage Society’s range of early 20th century home tours in the Banker’s Hill region of San Diego. 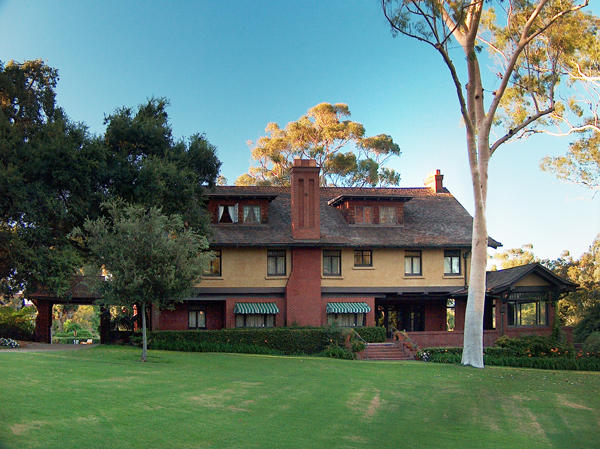 Visit the Marston House Museum, which stands as one of California’s finest examples of the Arts and Crafts movement, and then take a walking tour of the beautiful, 5-acre estate. Also available on every third Sunday of the month through Labor Day is the Bankers Hill Historic Walking Tour, which meanders through San Diego’s finest residential streets built in the late Victorian era and early 20th century with masterpieces from Irving Gill, William S. Hebbard, and Frank Mead, to name a few. Do you have any favorite buildings in San Diego deserving of architectural praise?